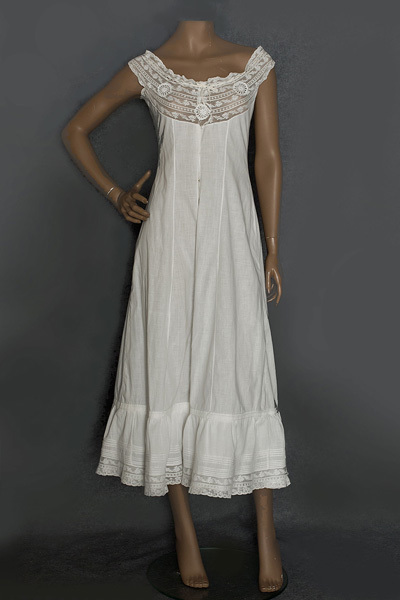 A full length Edwardian slip is perfect under a sheer tea dress. 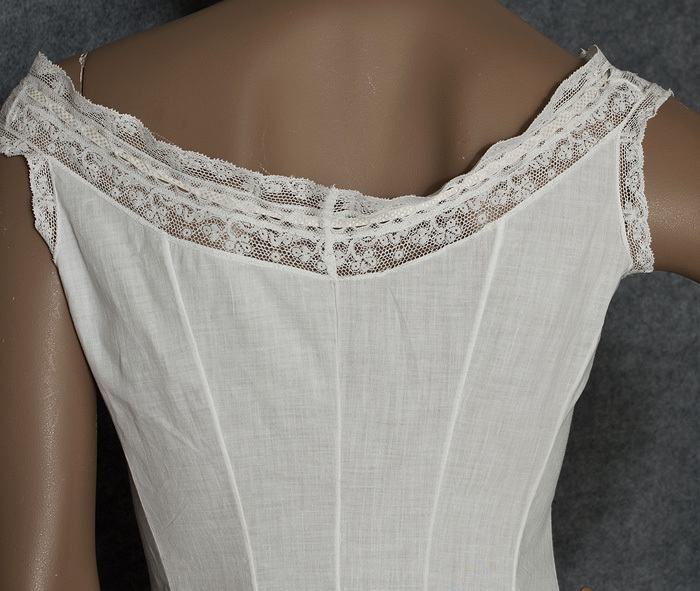 The princess line seams insure a smooth fit from the bust to the hipline. 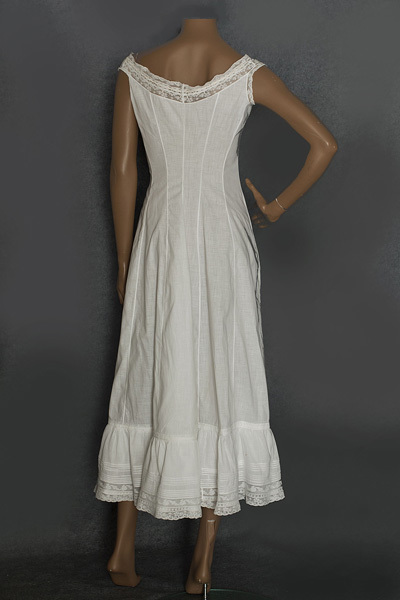 The skirt, which flares below the hipline, will support the skirt fullness of your dress. 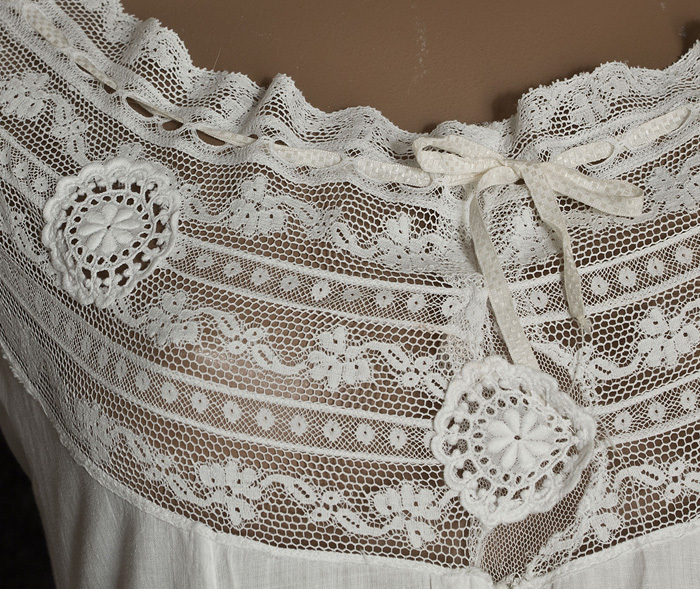 The white cotton slip closes in front with small hooks. 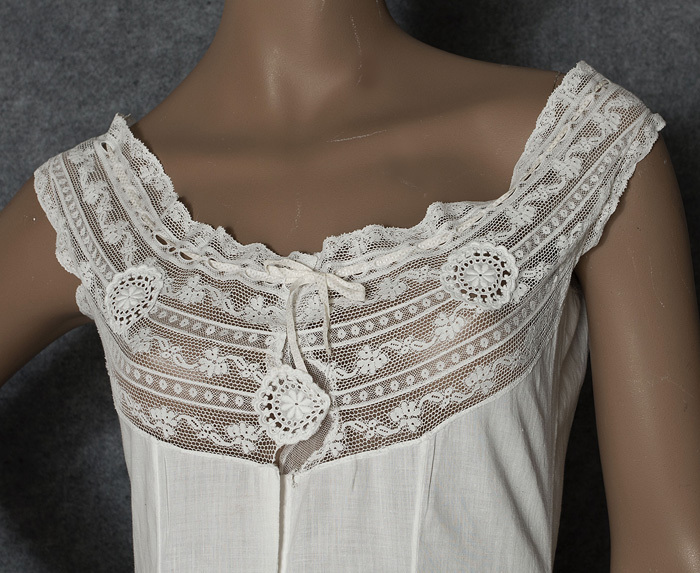 The pretty lace bodice still has the original silk ribbon ties to gather in the fullness. It measures: 36" bust, 29" waist, 46" hip, and 51" from shoulder to hem.